ESSENTIAL QUESTION/BIG IDEA: What was The Renaissance? What makes the Northern Renaissance different than the Italian Renaissance? HOMEWORK: Complete Blog Posts #5 and #6. We will be grading blogs on Friday. Read and take notes on 18:1 and 18:2. We'll do something with it sometime next week. What's the deal with different books? 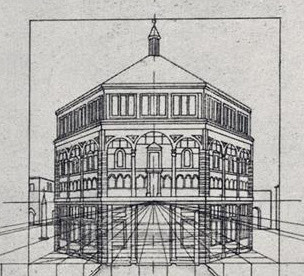 BLOG POST #6 - How does linear perspective work? In groups of 1, 2, or 3, create a 30-second video to demonstrate linear perspective, upload that video to Google Drive, SHARE that video publicly, then embed that video into your blog post. BLOG POST #1 - What was the most interesting thing you have learned in history so far this year? What are you looking forward to learning about between now and the end of the school year? BLOG POST #2 - Complete this sentence: "When I think of the word Renaissance, I think of . . ."? Your blog post must include one image that relates to The Renaissance. BLOG POST #3 - Renaissance art is known for its Realism. Look at Jan van Eyck's Portrait of Giovanni Arnolfini and His Wife (1434). Really look at it up close. Examine every detail. Create a numbered list of FIVE details that look incredibly realistic. After your list, explain what is your favorite element of the painting. In your opinion, is there any part of the painting that does NOT look realistic to you? Include a close-up screen capture of your favorite element of the painting. BLOG POST #4 - Good grief! Why are there so many naked people in Renaissance art versus Medieval art? How did cultural attitudes change in the Renaissance and why do you see so many more naked people? What is the difference in how Adam and Eve are portrayed in Medieval vs. Renaissance art? BLOG POST #5 - Pay close attention to the video titled, "How to recognize Italian Renaissance art." What is the most interesting thing you learned from this video? Explain in a 2-3 sentence response. Find the part of the video that you found most interesting, pause the video at that point, then take a screenshot of it. Include that screenshot in your blog post. BLOG POST #7 - Check out all the pieces of art in the "Selected Works of the Renaissance" I have curated for you. Choose one piece of art and learn more about it independently. Read the article about the artist and the specific work of art. Then answer these questions in your blog post: Q1: Which piece of art did you choose and who is the artist? Q2: According to your research and observations, why do you believe the artist created this work? 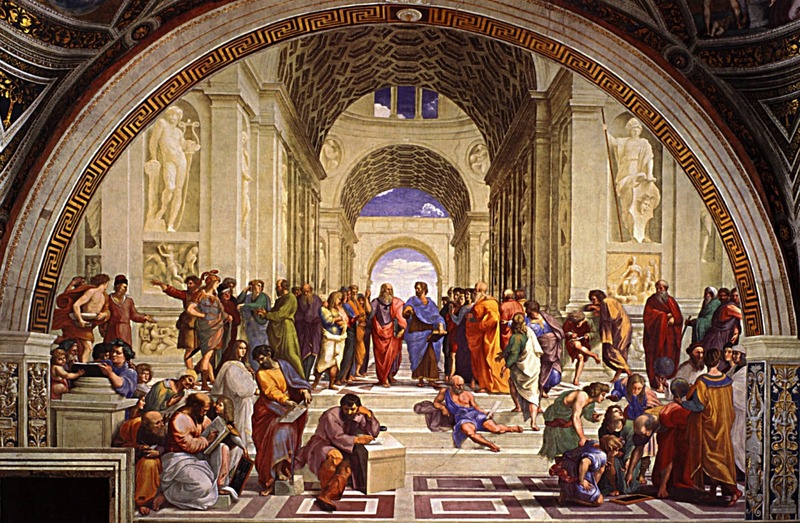 Q3: It is said that "the best Renaissance art has the power to speak to people across time." In what ways does this piece speak to you, some 500 years after it was created? If this piece of art could talk, what would it say? Q4: In your opinion, what is the most interesting or thought-provoking part of the painting or sculpture? Take a screenshot and share in a paragraph of 3-5 sentences why this particular part of the piece is interesting.